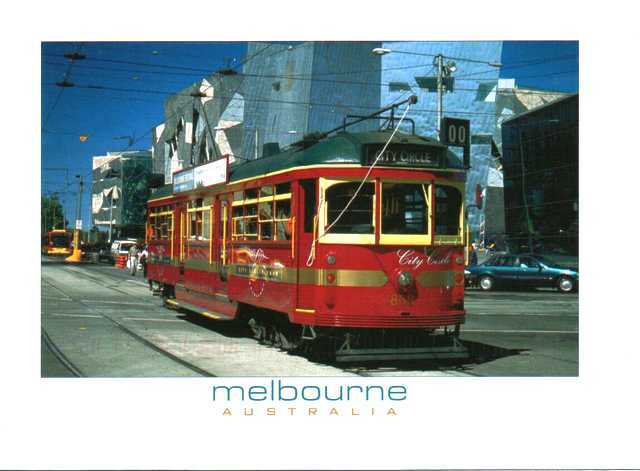 The Melbourne tramway network is a major form of public transport in Melbourne, the capital city of the state of Victoria, Australia. As of May 2014, the network consisted of 250 kilometres of track, 493 trams, 25 routes, and 1,763 tram stops. It is the largest urban tramway network in the world, ahead of the networks in St. Petersburg (205 km) and Upper Silesia (200 km), Berlin (190 km), Moscow (181 km) and Vienna (172 km). Trams are the second most used form of public transport in overall boardings in Melbourne after the commuter railway network, with a total of 203.8 million passenger trips in 2015-16.